Looking for tips on how to paint wooden furniture? A far better option than filling your home with flat-pack everything, throwing some love at old or secondhand pieces will give your space more personality and style. 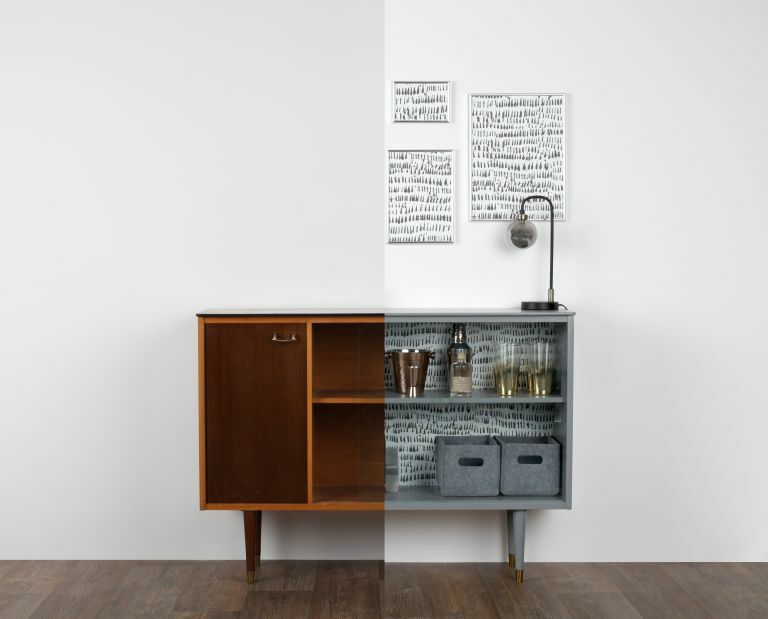 So shop around your home to see if there are any neglected pieces hanging about that could do with some TLC, or if you don't conveniently have a stash of Mid-century furniture just waiting to be upcycled, keep an eye out in charity shops for some secondhand pieces. Look out for shapes you like rather than colours or finishes because you are going to be painting over all that, and remember you can always upgrade the hardware and even the legs too. Use our guide to painting furniture for more hints and tips. Want more creative DIY ideas? Head over to our crafts hub page for loads more projects. Clean the the furniture you are upcycling thoroughly, remove handles and mask any areas you do not wish to paint with masking tape. Take your can of furniture paint and stir thoroughly. Most furniture paint requires no sanding or priming on most surfaces, so you can get cracking straightaway, but do just check the instructions on the can. Using a roller for large areas and a brush for harder to reach nooks and crannies, paint the unit and leave to fully dry. You may need up to three coats. Measure the area you wish to cover with self-adhesive wallpaper and cut to size. We think the back of the sideboard looks great covered in a funky pattern, but you could also cover the shelves or even the top of the cabinet. Find inspiration for wallpapers on our dedicated hub page. Apply your wallpaper, smoothing any bumps or bubbles with your hand or a wallpaper brush as you go. Step five: Remove any masking tape, put back any hardware you removed and you are done.